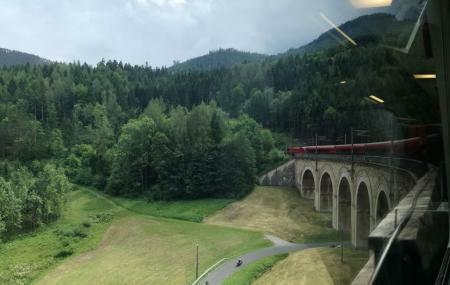 Reputed to be the first mountain railway built with a standard gauge track in the whole of Europe, a ride in the Semmering railway is a must. It is often called the world’s first true mountain railway as the terrain and altitude difference was a huge challenge during its construction. Its construction took around six years, from 1848 to 1854, and the contribution of more than 20,000 workers. The track is a brilliant man-made marvel which include 14 tunnels, 16 viaducts, 11 small iron bridges and over a 100 curved stone bridges. A ride in this trail is exciting, but the most unforgivable experience is to go hiking through Semmering, watching this marvel from afar. The view of the track is splendid, something that you won’t be able to see anywhere else. Try the best Berndorf trip planner to visit this Semmering Railway as well as many others. Oomph up your visit by adding the best hotels in Berndorf like Hotel Sauerhof, BÃÃÃ‚ƒÂ¶rsenhof Hornung, Hotel Leobersdorfer Hof and Hotel Stefanie. Explore the best Berndorf vacation packages that will take to you important landmarks of the city! For getting in, check out how to reach Berndorf. Love this? Explore the entire list of places to visit in Berndorf before you plan your trip. Fancy a good night's sleep after a tiring day? Check out where to stay in Berndorf and book an accommodation of your choice. It's amazing place to hiking from Semmering to Breitenstein, even though it's raining. BEAUTIFUL!